A Jerusalem synagogue told female wig wearers they could not hear the shofar in its precincts. Some Hadsidic sects Sephardic groups are very particular about maintaining the tradition of married women wearing a full head covering and not wearing any kind of wig, some allow wigs if a small hat is worn on top of them so it is clear the woman is covering her hair. In some of these communities there are even special enactments made in order to uphold these traditions. Rabbi Ovadia Yossef, for example, was against the wearing of wigs. In one Jerusalem synagogue the directors published an announcement on the eve of Rosh Hashanah 5777 stating that "In accordance with the rules of this synagogue from days bygone, we will not have in mind during the blowing of the shofar any women who are wearing wigs and do no cover their hair with a full head covering." This is an unusual ruling since even in communities which maintain such strict rules regarding wigs it is usually only requested that people follow local custom but they do not normally exclude women from performing halakhic duties. 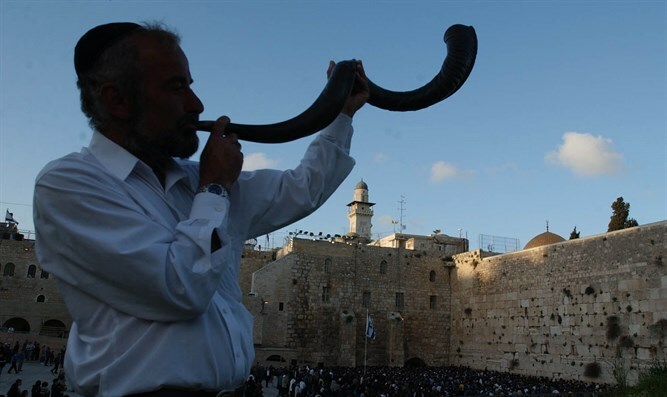 Women do not have a halakhic obligation to hear the shofar as it is a time-based precept, but most women make an effort to hear the shofar blasts.